Anti-burglar precaution should be a genuine security barrier against unwanted intruders. Amplimesh Security Screens are rigorously tested to ensure Australian Standards are met. Colonial Grilles come in a range of patterns from the very ornate to the more open styles. You will get a top quality DIY Security Screen product made to measure at a great price. 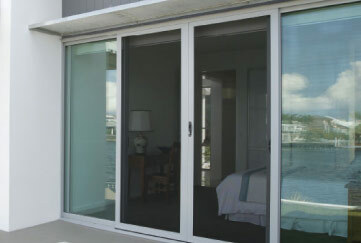 Kawana Blinds manufacture Security Doors and Window Grilles to fit any brand of door or window. We provide you with a choice of 3 different levels of security screens. Diamond grille, IntrudaGuard perforated aluminium plate and Supascreen 316 marine grade stainless steel woven mesh. Security Screens add to the comfort of the house by allowing fresh air to flow through while providing a security barrier against unwanted intruders. Want a FREE Security Screen Measure & Quote? Simply call or email the Kawana Blinds team and we’ll come discuss security screen options that best suit your needs.